“Sometimes news organizations tend to paint a different image than what reality is depending who pays them or who owns them”, says Amir Assadollahi on a Facebook post, a Canadian political scientist. Amir compared the media into painting your own face using make up to look or appear differently than who you really are. On what he described as “satire” political commentary, the Canadian commentator said that putting on make up almost looks like the way the mainstream media paint the image they want people to see. “This is a political satire commentary, because when we draw a simile between this makeup tutorial video to what we see and read in the news, it almost looks like the way the corrupt mainstream corporate news organizations in the world paint the image they want people to see and use a spin doctrine such as those used in the Philippines by the likes of ABS-CBN, Rappler and others like them such as GMA, Philippine Star and even at times we see CNN Philippines too for the most parts follow the same doctrine as if they were all the members of the same club in promoting the same makeup brand or brands." the political scientist said. 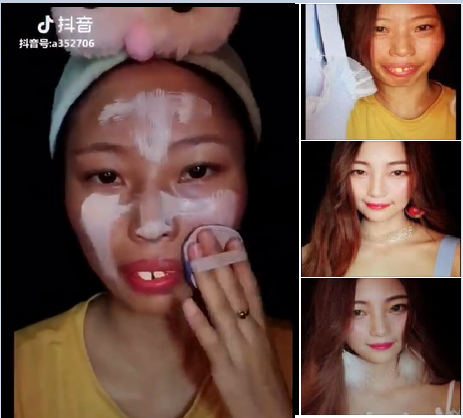 Along with his Facebook post is a video showing a woman who can skillfully paints her face and transforms into a very beautiful woman. Amir also explained that his sarcasm rooted from a previous report of ABS CBN telling the public that there were more than 40,000 people who protested and rallied against President Rodrigo Duterte during his 2018 State of the Nation Address- where in fact, aerial shots show differently, and that it was fake news that resulted to wrong information. “In the Philippines, the ABS-CBN news claimed there were 40,000 people rallied recently! You judge this from the areal view - does this look 40,000 to you. You be the judge!” the commentator said on his July 25 Facebook post. Amir said that he has been observing the Philippines for at least 10 years now, and he can easily say that big news agencies in the country has been infiltrated with politics intended to manipulate information and harness power.